Like fireworks against Victoria Bay's night sky, Hong Kong is a sensory explosion of dazzling contrasts. This is an international powerhouse of a city - smog-filled, crowded, cacophonous, rich with odours and rampantly consumerist. Street markets, shopping malls, designer brands, the latest gadgets, great culinary experiences – all are here in abundance, and many of the best places to stay in Hong Kong are well located to explore all of the above. Still rooted in tradition, old Hong Kong lives on beside new Hong Kong. Ultra-modern developments are aligned with care according to the advice of feng-shui masters. Just steps away from traffic jams oases of peace can be found in neighbourhood temples. And historic trams rumble above one of the world's most advanced subway systems. Chinese culture mixes with the West. Have dim sum followed by afternoon tea to a soundtrack by this week's Cantopop sensation. This may surprise you - considering Hong Kong's reputation as a bustling city of glass skyscrapers and traditional markets crammed full of treasures, and the fact that it's one of the most densely populated places on the planet - but over 70% of Hong Kong is mountains and country parks. So there's plenty here to appeal to the outdoor adventurer too. Hong Kong 'city' is centred around the Kowloon peninsula and the strip opposite it on Hong Kong island. Tsim Sha Tsui, at the tip of the Kowloon peninsula, is the main tourist area and is one of the best places to stay if you're looking for reasonably priced accommodation. In basic brush strokes, the Kowloon side is less colonial, more Chinese, and you might find that prices are generally a little cheaper. Hong Kong Island is where the colonial ties are strongest, so more English is spoken and there's more old fashioned luxury. Some of the harbour side hotels have reputations for being the best places to stay and which span many, many decades. Many people come to Hong Kong aiming to shop. Or explore the markets. Or see the rugby or races. Even if you have a plan, there are a few highlights you should not miss. Wherever you stay, you should definitely try and see the harbour from the harbour. One of the best and cheapest ways to do that is on the Star Ferry. It's also worth going again in the evening when Hong Kong is all lit up. Every night at 8pm they put on a colourful light show using Hong Kong's skyscrapers as the backdrop. For another good view of the island, promenade the waterfront. If you're interested in old Hong Kong, the Shek Kip Estate is worth a walk through and Shanghai Street is worth a stroll along. Sik Sik Yuen Wong Tai Sin, a Taoist Temple is also worth visiting. As is the Hong Kong Heritage Discovery Centre and the Hong Kong Museum of History. If you want to see some of the local colour take a turn round Kowloon Park, where you may even spot an opportunity to try some Tai Chi. Once called Victoria, the main hub of Hong Kong business and administration is now called 'Central'. Lan Kwai Fong to the southwest of Central station is where you can find a lot of the restaurants, bars and clubs. Soho is the other entertainment district. Sheung Wan is probably the area where Hong Kong's colonial past is most evident. Sai Ying Pun is probably the island's most traditionally Chinese neighbourhood. The Peak Tram is an obvious first trip taking you up to Victoria Peak where Hong Kong's wealthiest citizens jostle for the best harbour views. Take some time to walk a bit higher than the tram stop and you'll see just how opulent some of these buildings are. Man Mo Temple is Hong Kong's oldest, dating from the 1840s. It sits in amongst the antique shops of Hollywood Road. So the whole area is worth a stroll. Careful though, many of the antiques for sale are clever forgeries. It's also worth taking a spin on 'the escalator'. At 800metres long it is the world's longest outdoor escalator. It runs downhill between 6AM and 10AM and then uphill between 10:30 and midnight. With such a variety of things to see and do, Hong King is very popular. To be sure of staying in one of the best places to stay in Hong Kong do make your plans soon and book early. The Mandarin Oriental has appeared on lists of the best places to stay in Hong Kong for the last 50 years, becoming a Hong Kong icon. Famous for everything from the barber shop to rose petal jam. Refurbished in 2006, the hotel has kept the things it did wonderfully right and improved and updated where needed. The rooms are luxurious, chic and modern. Even if you don't stay here it's still worth paying a visit to the famous Captain's Bar or Clipper Lounge. The 503 rooms start from just £137 per night, so it might be an option if you want to treat yourself to something really special without breaking the budget. If you want to be right on the water, you should check in to the Four Seasons. To add to the liquid pleasures there's an infinity pool (and lane pools) on the roof deck. The views are spectacular and there is a first class spa. The design is quite western but with lovely Chinese touches like silk panelled walls. Considering two of its five restaurants have multiple Michelin stars this is a great place for foodies. 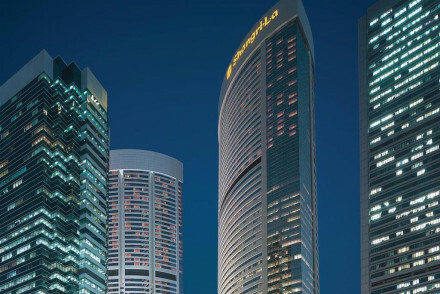 The Landmark Mandarin Oriental is sister to the Mandarin Oriental, but in a super central location. Making it one of the best places to stay for people who want the Mandarin experience. A 2** Michelin starred restaurant, luxurious bedrooms and a superb spa. There is the added wonder of a skywalk to the local shopping malls. This is definitely our recommendation if you're after immaculate service in a modern environment. For a wonderful design hotel experience, try The Upper House. The feeling is 'modern zen', with plenty of luxury and technology, also plenty of clean lines in wood and stone. The wonderfully stylish peace makes it the perfect haven of calm. 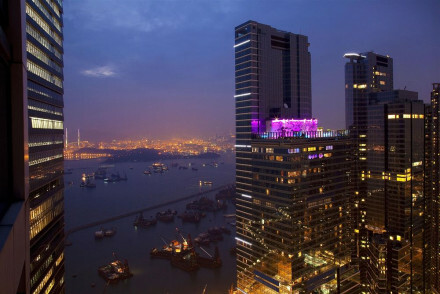 W Hong Kong is a hip hotel in the West Kowloon Cultural District with around 200 stylish - bordering opulent - rooms complete with incredible panoramic views of the city and the harbour. The spa and fitness facilities are excellent and there’s fantastic gourmet cuisine - both Cantonese and international - and a simply astonishing rooftop infinity pool. Right on Kowloon’s vibrant waterfront, the Kerry Hotel is big - it’s has 546 rooms and suites, multiple outdoor terraces, a choice of restaurants and an impressive infinity pool. It is close to Kowloon’s shopping district and the night markets. The Hotel Stage is a stylish, white-on-white property with Scandi-style design, wine bar and gallery featuring local contemporary artists. It also has a restaurant. You’re close to the Jade Market and the Temple Street night market. Eaton is a comfortably fun hotel on Kowloon’s famous ‘Golden Mile’ just a few minutes walk from the Temple Street night flea market. There are 434 rooms, the decor is modern with a lot of dark wood - suites have spectacular views of the city and there’s a fantastic choice of restaurants. 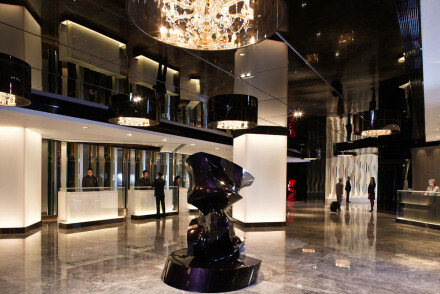 The glossy, western style Langham Place hotel is in a very busy, very Chinese, part of town, Mongkok. Perfect if you're looking for local colour - the streets here are packed each evening with people flocking to the Night Market and the Ladies Market. Langham Place has an amazing rooftop pool and its Chuan spa is one of the best in town. If you want good value in amongst the shopping and tourist attractions book the Butterfly on Prat. The name refers to the street, right in the thick of the Tsim Sha Tsui area. Simple, yet colourful, modern, yet comfortable, this is one of the best places to stay if you're watching your wallet - rooms start from around £110 per night. Right on the Golden Mile, Eaton is a good choice if you're looking for 'kind prices'. Outside are all the bright, colourful lights, but inside it's simple and functional. For bygone era luxury, the Peninsula, with spectacular views over Victoria Harbour, has to be one of the best places to stay in Hong Kong. They have a fleet of Rolls Royces to do the airport pick-ups. People book months in advance for the legendary afternoon tea and the decor has all the elegance and gentility of the colonial era. Superbly located in the heart of Central, The Pottinger is a heritage property which has moved with the times. The decor is chic and filled with light and there are 68 rooms and an excellent Italian restaurant. If you're looking for a something different, East in redeveloped Quarry Bay, might be worth considering. There are harbour views, but from a different angle, and only a fifteen minute taxi ride to the centre of town. But those fifteen minutes will make your stay a lot cheaper but no less luxurious. East is kinda hipster, with staff in uniforms of trainers and designer Ts. The top floor nightclub 'Sugar'. But it's also a business hotel. Madera Hollywood is different because of its colourful character. You might want to check out quite a few rooms photos before you commit, but if you love the decor then this is a great boutique choice. With plenty of space, an unbeatable location and wonderful views of the skyline. 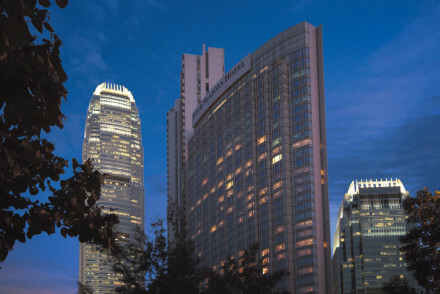 The Langham Hong Kong in downtown Tsim Sha Tsui, is a large hotel - there are around 500 rooms and suites - with magnificent views of Victoria Harbour. Its T’ang Court restaurant has three Michelin stars, though its not the hotel’s only restaurant. There’s also an impressive spa menu. Island Shangri La in Hong Kong Central is another big, big name hotel, with over 500 rooms and skyscraper views. There is a choice of fabulous restaurants and plenty of luxury. On the ‘other’ side of Hong Kong island, away from Kowloon, the Ovolo Aberdeen Harbour is quiet with 85 nautical themed rooms and suites. But not so quiet that it doesn’t have a 24hour gym and restaurant and complimentary happy hour. Rooms start from less than £70 per night. The same company also offer Ovolo Southside which is a carefully converted warehouse close to Ocean Park. There are 160-odd minimalist rooms and a popular steakhouse. 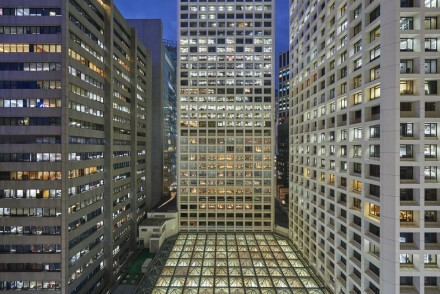 For under £100 per night you can also stay at the Bishop Lei International House, on Hong Kong island, which has 227 rooms - many with fantastic views of the harbour through huge windows. You’re walking distance from the commercial downtown. If you’d prefer to stay in an apartment we recommend you visit our online partner Booking.com. Hong Kong Airport is a huge international hub with connections all over the globe. There are great public transport connections into the centre of town - it’s 24minutes to Hong Kong Island on the Airport Express Train, and from there many hotels offer a free shuttle service. Most people consider the best time to visit Hong Kong is its cooler, dryer season, between October and January. However the weather is becoming a bit less predictable, and with smog from China hitting the island quite badly during this period in 2016, you might want to check your timing carefully. Wet, humid summers are clearer, and quieter, so you’ll possibly find yourself an excellent hotel deal. In a quieter corner of town, Ovolo has views across Aberdeen Harbour which modern, nautical rooms enjoy through huge windows. However you may find yourself distracted by the 3D cinema system and in room ipad! Full of extras there is complimentary happy hour and minibar, 24 hour gym & restaurant. Local markets - Ladies and the evening Temple Street Market are an excellent way to explore authentic (not that the goods will be!) Hong Kong. Sailing - Hire a boat from Aberdeen Harbour for a trip around the surrounding islands. Sights nearby - Hong Kong Disneyland is a must visit for visiting families. Great walks - Through the lush walkways of Tao Fong Shan. A well placed hotel with unbeatable views at reasonable prices. The bedrooms boast fantastic harbour views from large windows. A generous outdoor pool gives an opportunity to relax in this buzzing city. Walking distance from the commercial downtown. An ideal city crash pad. Value chic - A contemporary hotel boasting impressive views of the city's skyline, rooftop pool and great central location. Sights nearby - A short walk from Lan Kwai Fong entertainment area. 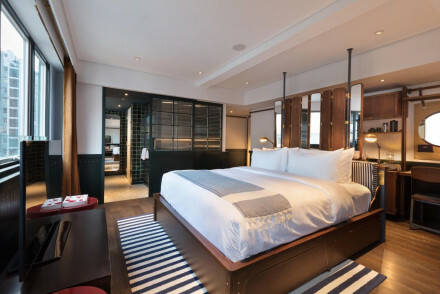 Located in the former industrial area of Wong Chuk Hang, Ovolo Southside references the hotel's past in its warehouse design. The popular restaurant serving steakhouse cuisine is covered in graffiti art and lit with filament lights. Minimalist rooms with metal fixtures enjoy huge windows and views. Sailing - Hire a 'junk' as the locals call them for the day and head out to one of Hong Kong's beaches. Sights nearby - Family's will enjoy a trip to Disneyland Hong Kong. 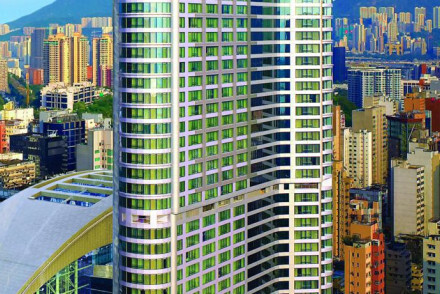 Situated in Hong Kong's famous "Golden Mile" shopping and commercial district. This hotel offeres convenient, comfortable fun at a reasonable price. Modern decoration, fantastic restaurants, as well as business, fitness, and wedding facilities. 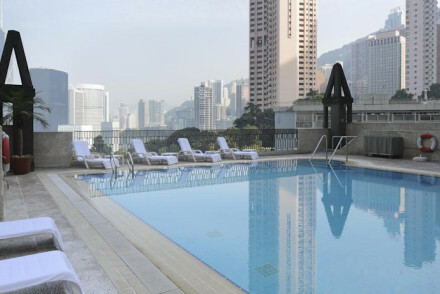 City Style - Classic suites with dark wood furnishings, panormaic views of Kowloon City and chic rooftop pool. Sights nearby - Less than a ten minute walk to the famed Victoria Harbour, sit and watch the ships roll in! Local markets - Just a few minutes walk from Temple Street with its famed night flea market. 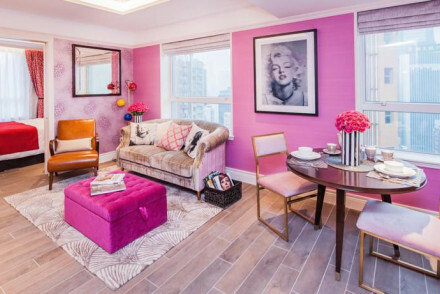 A chic designer property in bustling Causeway Bay. A collection of suites and studios are impeccably styled with bright colours, contemporary art and clean lines. The casual atmosphere, cool rooftop bar and friendly service makes this a very appealing choice. 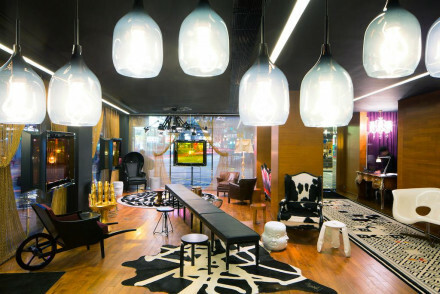 City Style - Find urban chic at its finest in this achingly cool hotel. Sights nearby - Let the concierge team organise a private tour at the hotel's favourite art gallery, The Cat Street Gallery. Great walks - Climb the peak and admire the city views. Glossy Langham Place in an earthy, authentic Chinese neighbourhood. Contemporary but supremely elegant in style - rich wooden furniture, neutral tones, white linens. Fantastic spa, roof top pool, and even a Chinese art collection. Foodies - Among the hotels many restaurants is the famed Cantonese restaurant with 2 Michelin stars, Ming Court. 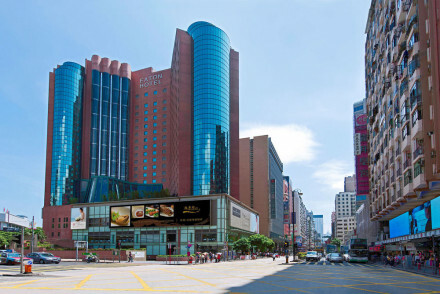 City Style - A stylish and elegant hotel right in the centre of the trendy Mong Kok district. Great walks - Wander the streets of the trendy Mong Kok district, getting lost is all part of the fun! Local markets - Nearby markets include Ladies Market, Temple Street Night Market and Flower Market. 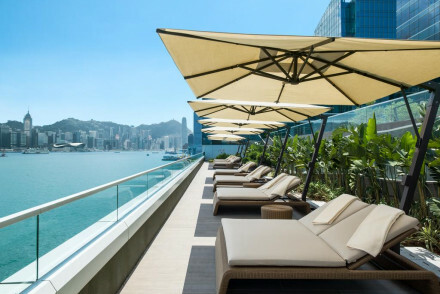 Spacious waterfront hotel in an up-and-coming Kowloon neighbourhood, the Kerry Hotel is a smart and modern urban retreat offering panoramic views, multiple outdoor terraces and an infinity pool worthy of your Instagram. An exceptionally modern hotel with fantastic facilities - Michelin-starred restaurant, electrifying open-air lounge bar, and underground spa. A hotel master-planned for rest and relaxation, all in the utmost style. Foodies - There is something to suit every palate including a Michelin Starred Cantonese, a chocolate-themed café and French fusion. 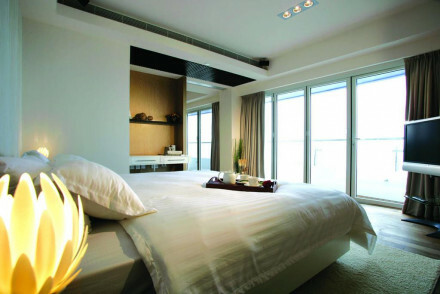 City Style - Vibrant and bold designer rooms with underground spa, in the leafy luxorious Tsim Sha Tsui. Great walks - Situated just across from Kowloon Park, a rare splash of green in this city of skyscrapers. Sights nearby - Kowloon Mosque and Islamic Centre is just a five minute walk down the road. The Fleming offers a perfect bolthole when the dizzying city of Hong Kong gets a tad overwhelming. It offers an uber cool stay for the style conscious, loved up couples and those looking for something understated but with impeccable service. Local markets - A short walk from the bustling Wan Chai market. Sights nearby - Ten minutes walk from Hung Shing Temple. Colourful, stylish decoration and thoughtful details are highlights at this upbeat hotel. Glossy rooms and suites in oranges and greens. A great place to stay in the heart of the Tsim Sha Tsui area close to all the shopping and tourist attractions. Value chic - A reasonably priced stylish hotel in a central location, with access to some of Hong Kongs best shopping and restaurants. Great walks - Walk along the along the Victoria Harbour waterfront in Tsim Sha Tsui to view the 'Avenue of Stars'. Sights nearby - Visit the stunning Man Mo Temple, well worth checking out. A stylish property in the traditional district of Yau Ma Tei. Crisp white walls are the backdrop for local contemporary artwork. The wine-bar, restaurant and gallery are all equally modern. Rooms are bright and airy with floor to ceiling windows and simple scandi-design. A chic choice. City Style - A chic property offering contemporary style in the heart of the city. Sights nearby - Close to Tin Hau Temple, Temple Street night market and the Jade Market. Local markets - Explore the bustling Jade Market just a walk from the property. Hotel Madera Hollywood brings colourful character to all the usual luxuries of a boutique hotel. Its central location is unbeatable, as are its spacious one-bedroom suites with skyline views. Sailing - Organise a sailing trip from Hong Kong harbour around the island. Local markets - Explore the frenzy of Temple Street Night Market. Sights nearby - Five minutes walk from Man Mo Temple. Stylish, comfortable, well-designed business hotel in the redeveloped Quarry Bay. Equipped with every mod con. A 24 hour gym and swimming pool provide rejuvenation at all hours. Ideally situated to move around the city. An award winning restaurant. The ultimate base while on business. City Style - A stylish choice- the sleek rooms feature full wall windows facing over the harbour, all mod cons and indulgent extras. 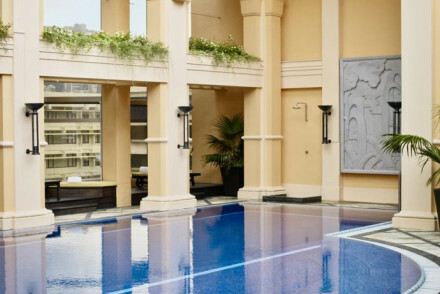 A luxury downtown hotel with a rooftop pool in the heart of Tsim Sha Tsui. Bedrooms and suites have floor to ceiling windows with magnificent views of Victoria Harbour. The hotel has a number of restaurants including a three Michelin-Starred Cantonese restaurant. Modern urban splendour. Total relaxation - Rely on the phenomanal service, luxurious massages, spectacular food, and incredibly comfortable beds to ease all your worries. Foodies - Foodies flock to this hotel for the 3 Michelin-star T'ang Court, serving Cantonese specialities. Great walks - Kowloon Park is perfect for an afternoon stroll and a breath of fresh air. Local markets - Near to the local night market, a must see for all visitors to Hong Kong. Located in a popular beachside town on Hong Kong Island's south side, the Stanley Oriental Hotel offers chic rooms and superb, spacious suites. There's also easy access to the sea, a lively local market and many bars and restaurants – all the ingredients to make this the perfect seaside getaway. With floor-to-ceiling windows overlooking Victoria Harbour, the Kowloon skyline, and the city’s many skyscrapers, the Island Shangri La is a luxurious bubble that serves up Hong Kong ritziness in droves. Featuring fabulous restaurants and a prime central location, this is a perfect city spot. 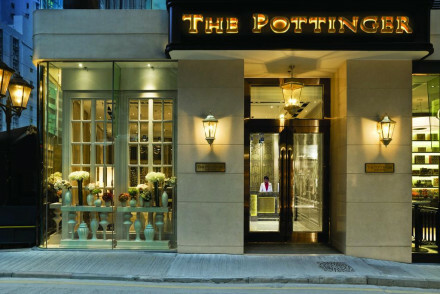 Superbly located in the heart of Central, The Pottinger blends the old and the new – celebrating Hong Kong’s heritage whilst also surrounded by the frenetic modern delights of the city. Featuring chic, light-filled rooms and an Italian restaurant, this is a brilliant option for a city stay. 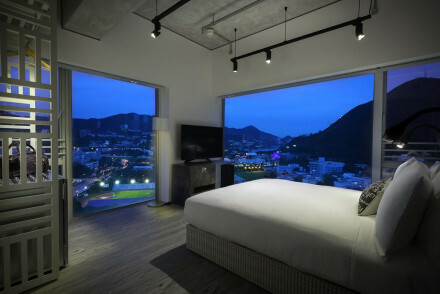 Hip hotel in the trendy the West Kowloon Cultural District. The stylish rooms are opulent and original with wonderful views of the harbour. Panoramic views of the city from the spectacular rooftop infinity pool, fantastic gourmet cuisine, and unrivalled spa and fitness facilities. Foodies - A range of restaurants from Sing Yin Cantonese Dining to international buffet spreads at Kitchen. Sights nearby - A 4-minute walk from sky100 Hong Kong Observation Deck and located in the The West Kowloon Cultural District. Swimming Pool - Rooftop pool with astonishing views. Fantastically modern hotel on the waterfront. Rooms with state-of-the-art technology vary between sleek Western style, with silk-panelled walls and marble-floored entry foyers, and contemporary Chinese style. It caters for business, weddings, and leisure. City Style - Dripping in glitz and glamour, from underwater music in the roofotp infinity pool, to panormaic views from achingly chic suites. Foodies - Minutes from some of Hong Kongs hippest eateries and with two of their own Michelin restaurants to choose from. Local markets - Tai O is famous for its seafood market, which remains one of the locals' favourite places to buy their fresh and dried seafood. Great walks - Just a ten minute walk from the hotel is the urban oasis of Sun Yat Sen Memorial Park. The smaller, trendier and more exclusive little sister to Mandarin Oriental, in a knock-out location for hitting the shops. Stunning modernist decoration, with sleek artistic touches. The double Michelin-starred French restaurant and mammoth two story luxury spa are not to be missed. 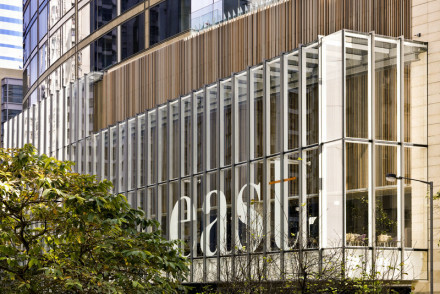 City Style - One of Hong Kong's hippest hotels, achingly cool and an instant hit with the young fashionista crowd. Great walks - Hong Kong's zoo and gardens are just a short stroll away, the perfect way to pass a lazy afternoon. Spa - One of Asia's premier urban spa's. A legendary hotel with all the colonial elegance and allure of a bygone era. Harbour views from glamorous rooms, afternoon tea, and a fantastic selection of world-wide cuisine. The ultimate city break steeped in old world nostalgia. 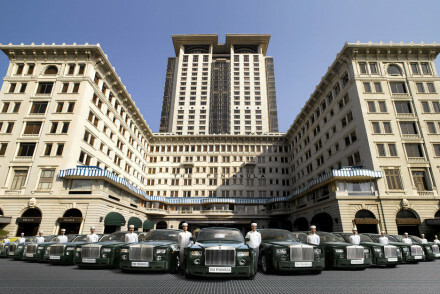 City Style - This 'Grand Dame of the East' is the original luxury hotel in Hong Kong, sleek stylish and utterly spoiling. Great walks - The hotel Al Fresco Gastro Tours of Hong Kongs green spaces. Cooking classes - The hotel holds a gourmet class in refined eating. 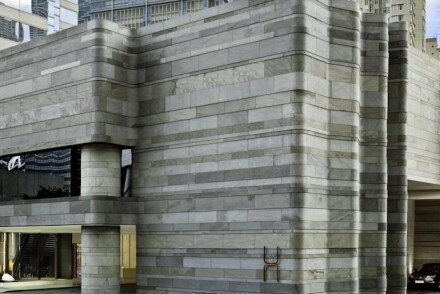 A flawlessly designed hotel, housed in one of Hong Kong's most historic buildings. Boasting larger than normal rooms, fantastic city views, meticulous interior decor and a fun vibrant atmosphere. With four restaurants, a bar and a small but state of the art gym and spa they have every base covered. This Hong Kong icon, famous for its impeccable service, has been given a super revamp. Its classic traditionalism now has contemporary comforts to match. State of the art bedrooms and bathrooms parallel the spectacle from the roof top bar and delight of the restaurants. 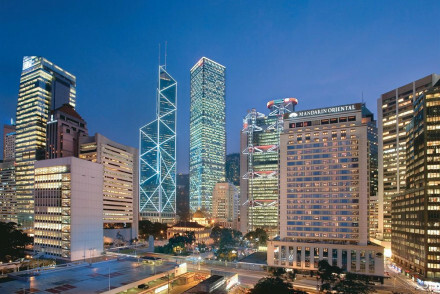 City Style - This iconic hotel epitomises Hong Kong style. Sights nearby - Overlooking Victoria Harbour. 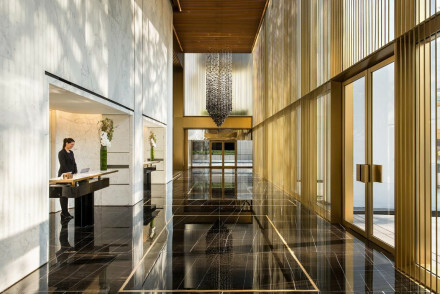 A uniquely, and superbly, designed, Andre Fu, hotel that combines the best of boutique with typically giant Asian luxury. Huge stylish bedrooms and bathrooms with ceiling to floor windows and all the mod cons craved for by technology junkies. A refreshing city stay. City Style - Slick rooms with wonderful views of Victoria Harbour, elegant bars and trendy restaurants. Great walks - Escape into tropical Hong Kong Park, just five minutes' walk from the hotel, 20 acres of green ideal for walking.